Details of the temple dance pavilion model on display in Napier Museum in Thiruvananthapuram. 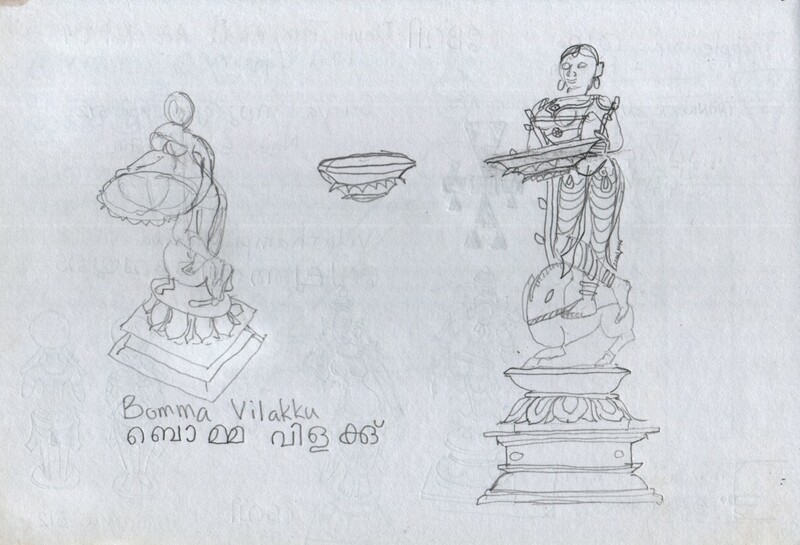 In Malayalam, the name for the dance pavilion is Koothambalam, or കൂത്തമ്പലം. 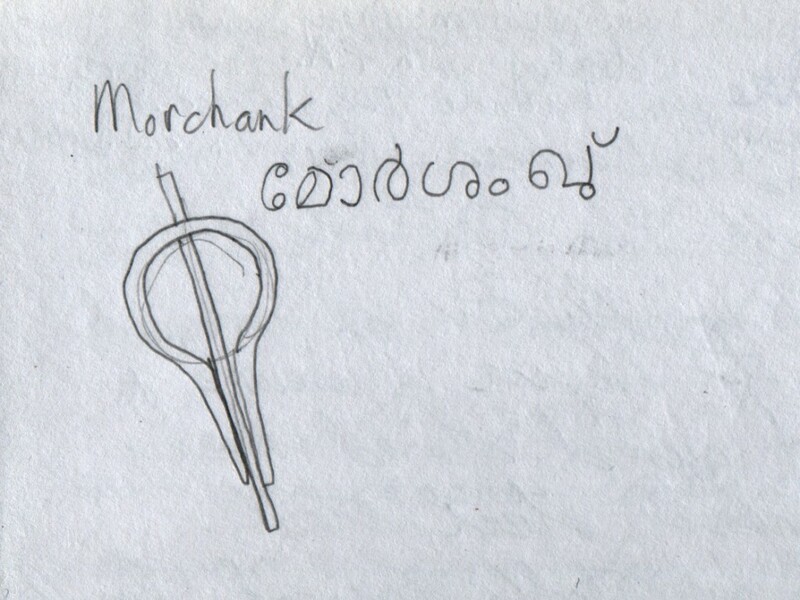 A jaw harp, or morsing, on exhibit in the Napier Museum in Thiruvananthapuram. 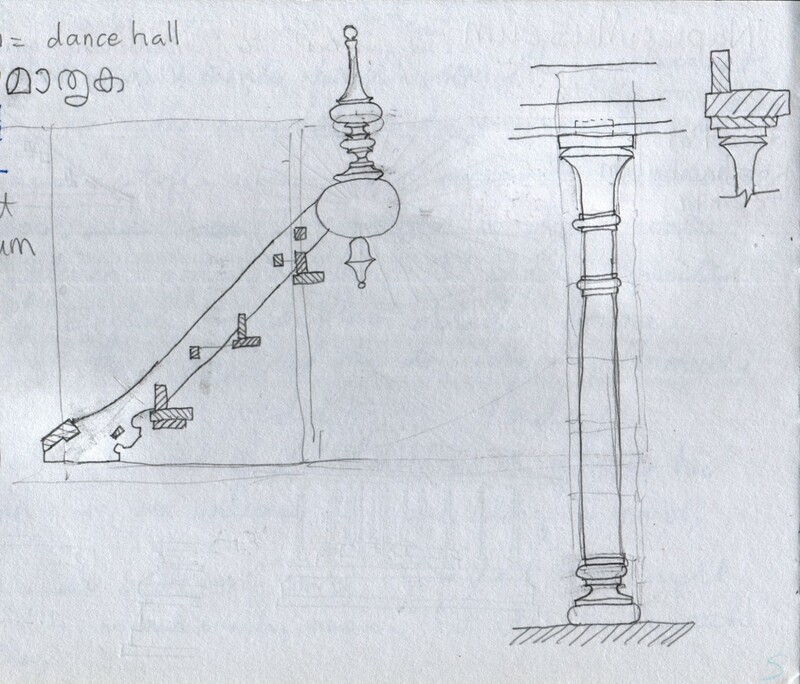 I heard this instrument in a Malayalam rock song, and I understand that Carnatic music also uses the morsing. 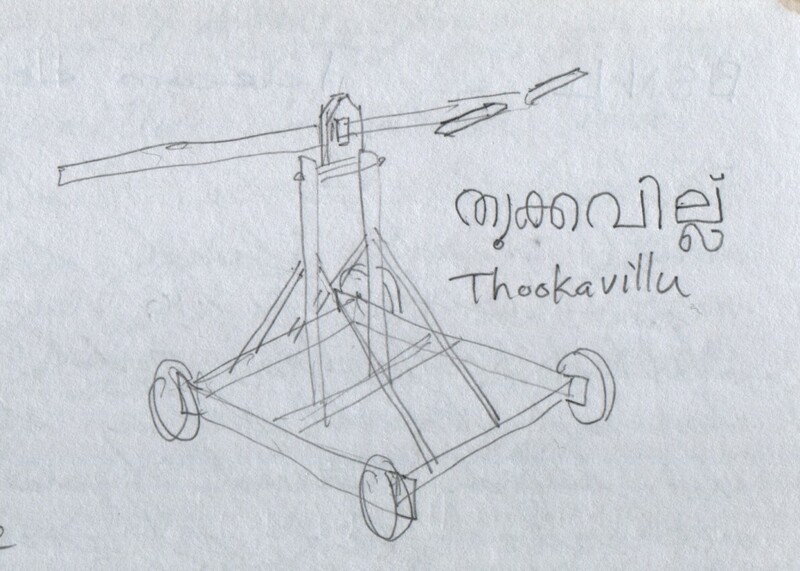 The label said മോർശംഖു്, which might be a phonetic rendering of മുഖർശംഖ്.